Nagarahole is named after Nagarahole (Cobra river in the local language, Kannada), a winding river which runs eastwards through its centre. 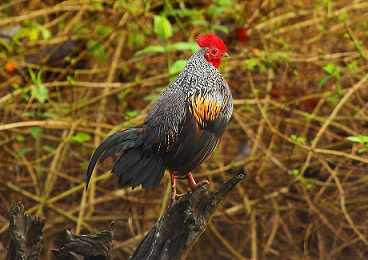 Situated in the two districts of Mysore and Kodagu in the state of Karnataka. It was originally constituted into a sanctuary in the year 1955 covering an area of 258 sq. Kms and subsequently enlarged to include the adjoining areas of Mysore district and now extends over an area of 643.39 sq. kms which was given the status of a National Park in 1983. 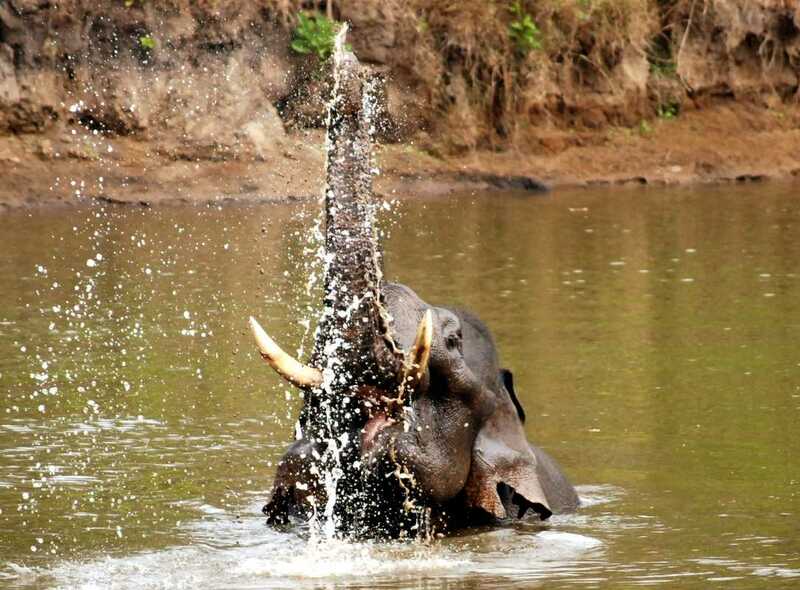 The birth of Nagarahole National Park can be traced to the notification of 285 Sq. km. 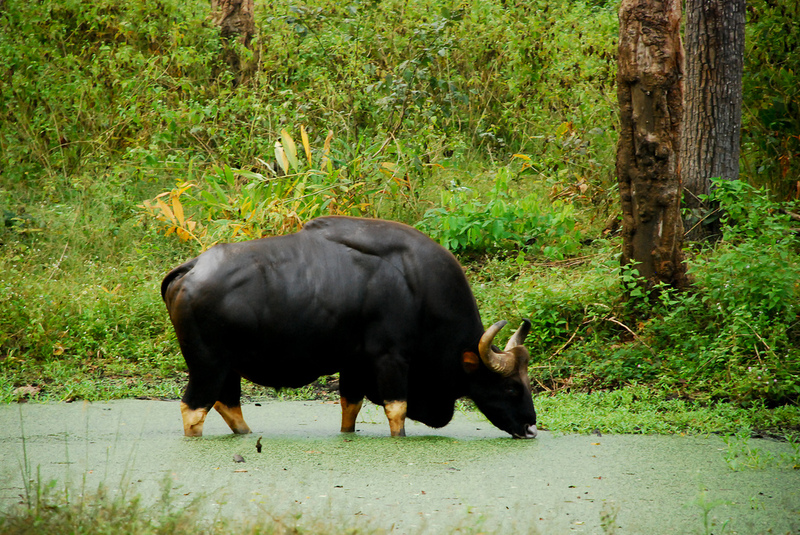 Game Reserve way back in 1955, which included the reserve forests of Arkeri, Hatgat and Nalkeri in Kodagu. 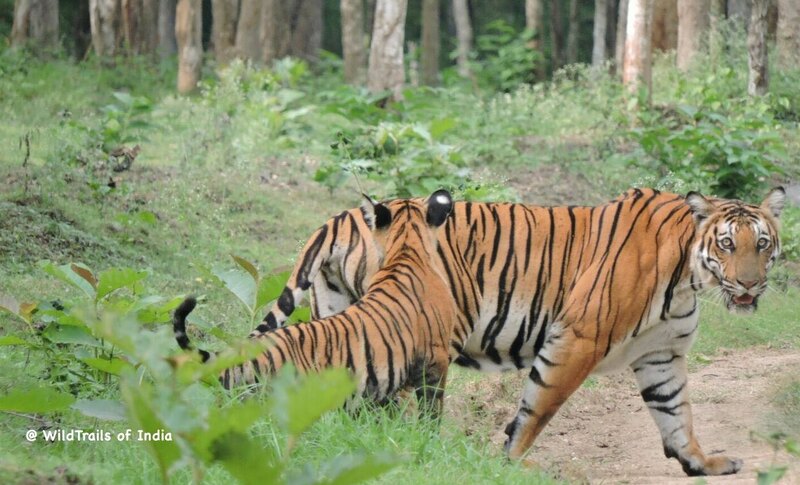 Subsequently, in 1974, reserved forests from the adjoining Mysore district were added to the Nagarahole Game Reserve, which was upgraded to the status of a National Park covering 643 sq. km. 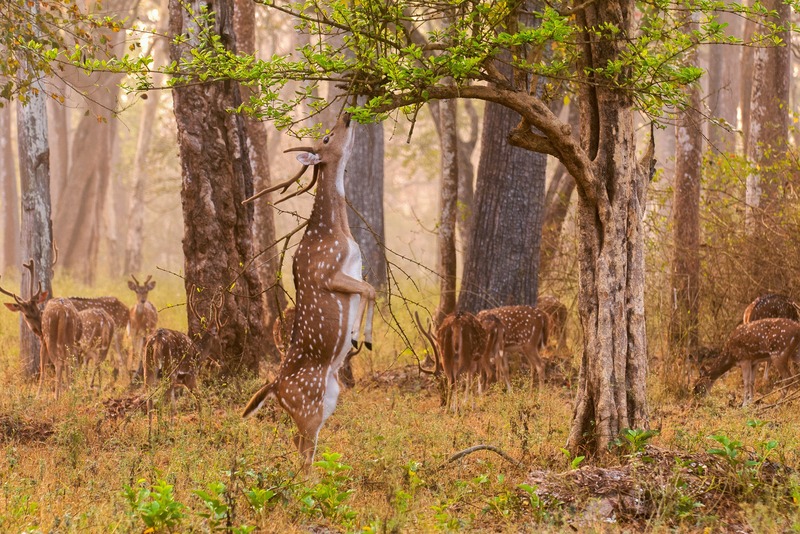 "Geographical Location of Nagarhole National Park Nagarhole National Park is located at a 50 km (31 ml) from the major city of Mysore. 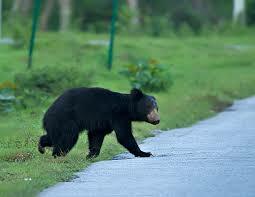 It is situated between the two districts of Mysore and Kodagu in the state of Karnataka. 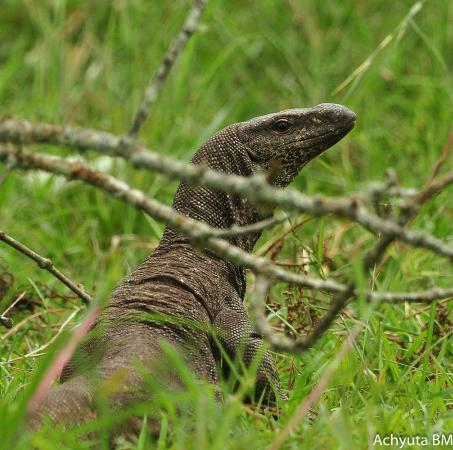 The park stretches at the foothills of the Western Ghats spreading down the Brahmagiri hills and south towards Kerala state. 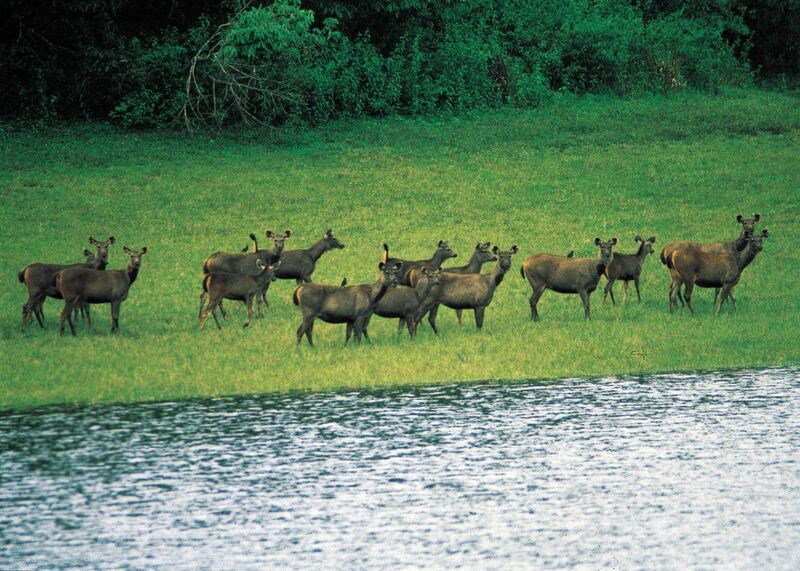 River Kabini separates the Nagarhole National Park from the Bandipur National Park. 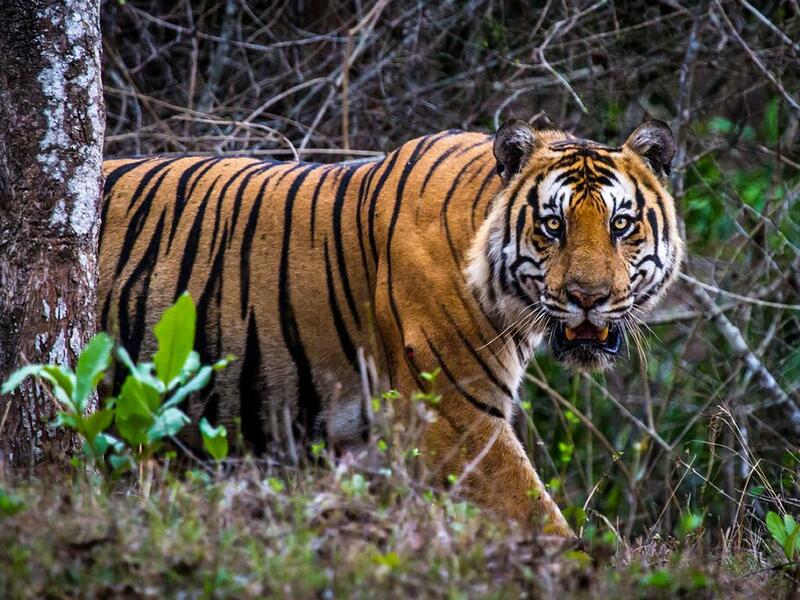 Lakshmana and Teentha rivers flow nearby the Nagarhole National Park and the entire park area is enveloped in greenery and flora with waterfalls adding to its beauty truly makes the Nagarhole National Park a beautiful habitat for wildlife animals." By Air: The nearest airports are in Bangalore and Mysore. By Rail: The nearest station is in the city of Mysore. By Road: The park is well connected by roads and distances with various cities can be calculated as follows: Madikeri (93 km), Mysore (96 km) and Bangalore (236 km).